Proper Care And Feeding Of Your Tires. We have all heard it before; properly inflated tires will allow you to achieve the highest MPG. It will also improve the life of your tires and can affect the ride quality as well. 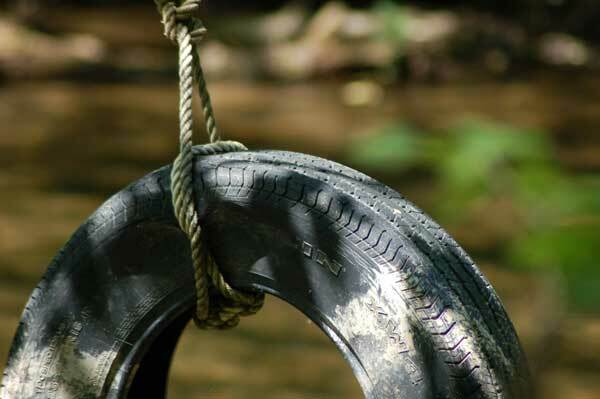 Under inflated tires will run hotter due to increased friction. This heat lowers gas mileage, wears the tire from the inside out, and can lead to poor handling and uneven wear on the outside of the tread. Over inflated tires will have a harsh ride, less traction and will wear unevenly at the center of the tread pattern. What is the proper inflation pressure for your tires? Check inside your door jamb for a manufacturer’s sticker with recommended inflation pressures. Your owners manual will also explain the recommended range of pressures to run. All tires will have a Max. Pressure molded in to the tire, don’t be confused, this is not the pressure you should be running the tires at! Always follow the auto manufacturer’s recommendation for your vehicle to ensure proper tire care. Your car will never be 100% perfectly aligned, thus your tires will never wear evenly. Rotation allows for you to even the wear between front and rear tires over time and get the longest life from your tires. Typically front tires will wear more unevenly than the rears, due to independent front suspension and the fact that the front tires are turning when cornering. Tire rotation every 5-6,000 miles is the norm, and will allow you or your mechanic to inspect the tires and see how they are wearing. Any uneven wear can tip you off to an alignment or tire pressure issue. What Are Those Green Caps On My Valve Stems? In the past 10 years, more and more tire installers have switched from filling your tires with air, to nitrogen. Why Nitrogen? Its molecules are larger which leads to less leakage and since Nitrogen is a dry gas, there is no moisture to help corrosion of your wheels from the inside. It also is an inert gas, and contains no oxygen so even less worries about wheel corrosion. It does however still suffer from pressure changes in fall/winter months just like air, so when the winter rolls around, make sure to check your tire pressures. New section on proper tire rotation for your car truck or SUV. Ever wonder why you have to rotate your tires??? We have a new guide on tire rotation just posted ! Even if you dont do your own tire rotation, we offer some good advice on what to do when taking your car to a tire shop. Bad struts cause tire wear? Question: How does bad shock absorbers and struts effect tires? issues as a strut wears, which will cause uneven wear on the tires too. Wheels studs and what they are. There could be a couple of studs on the front of your car. A stud is a threaded piece of metal which is attached permanently to another part of the car. So when tightening the nut, you do not have to hold the back side of the stud. In other words, it’s a bolt which can not turn, thus allowing you to tighten the nut without holding the bolt. There are wheel studs which go through the axle flange and through your tire. This stud is what the lug nut threads on to and holds your tires in place. Most cars have 4 or 5 studs per wheel. Not likely that this caused a problem with the power steering. There are also studs which the power steering pump and rack and pinion mount to, both could cause problems if they snapped. These studs could break due to fatigue, or hitting a curb with the tire. family truckster for the long haul. peak efficiency. I personally use synthetic oil in my vehicles for it’s long life and superior lubrication. While you are getting your oil changed, make sure that the mechanic greases all of the suspension points and inspects everything under the car for wear. - Check the air conditioning system, nothing is worse than a family trip with no air conditioning. If your system is not blowing cold like it used to, consider getting it recharged to keep you cool on those hot summer roads. your spare tire is inflated and in good condition. Remember that if you need to use the small “doughnut” spare included in some cars, keep the speed below 50mph and only use the tire to get to the nearest garage to get your original tire fixed or replaced. extra fluids in the trunk just in case. I usually carry a gallon jug of fresh water from the store. You can use it to fill a radiator or keep you alive if you are stranded and need water. - Do you have an emergency kit in your car? You should have the basic band-aids, gauze and ointments included in most kits today. You should also have a blanket in the trunk. Flares and flags are also essential for roadside safety. - A tool kit to fix minor problems is a good idea to have in the trunk also. An adjustable wrench, screwdrivers, and a vice-grips pliers go a long way when stuck on the side of the road. I also carry electrical tape and extra fuses incase any minor electrical problems pop up during the trip. - Don’t forget a good set of jumper cables for when you leave the lights on, or your battery goes dead. A good set of jumper cables has a heavy gauge wire and sturdy clamps at each end. There are some new cables on the market, which have LED lights to show you if you have the cables hooked up properly. If you can find a set, it’s worth the price to know that you are jumping your car the right way. I get more questions about how to jump-start a car properly. from corroding. A mechanic can test your charging system and battery in about 5 minutes. This extra test could save you a lot of headaches on your trip, if something was to go wrong with your charging system. - Do you belong to a motoring club like AAA? Make sure your membership is current and you have the membership card with you on your trip. 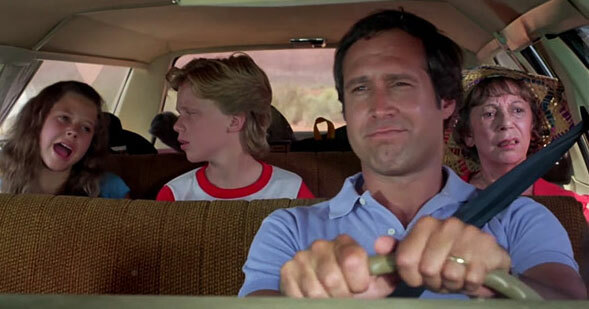 Now that you have everything prepared for your summer road trip, get ready for a million “are we there yet’s and “Daddy I have to Pee” Aahh… the joys of the family vacation ! AutoEducation.com has been around since 1999 educating you on how cars work. Solid advice, a little bit of fun, and even answers to your specific questions keep customers coming back. We want to help make owning a car as easy as possible for you and your family. Americans love their cars, and we are here to help you get the most out of that experience! The blog is an agile way we can respond to visitors and answer questions or post the news of the day.